The following are examples of commonly used medications for treating sporting injuries and other medical conditions. Antibiotics are a form of medication which is used to treat bacterial infections. They are only available via a prescription (in the UK). Antibiotics are used in the treatment of infections, although they are only suitable for bacterial infections, not viral infections. They are not effective in treating viruses such as influenza. They can be used in the treatment of conditions including food poisoning, chest infections, and infected wounds. They may also be used in a preventative capacity, for example, after an operation, to prevent infections. Antibiotics can work in one of two ways. They can either actively kill bacteria, or they can prevent bacteria from multiplying. This is effective as bacteria only have a short life span and so if no more are produced then the infection will clear after a few days. There are two types of antibiotics. These are known as broad-spectrum antibiotics and narrow spectrum antibiotics. These act on many different types of infections and are not specific to one type. These are more specific to certain types of bacteria and will not work effectively on every type. Occasionally someone may be allergic to antibiotics. A penicillin allergy is now relatively common. Common symptoms of an allergic reaction include a rash and swelling of the mouth and tongue which may lead to difficulty breathing. If this happens, seek emergency medical attention immediately. Make sure you follow the instructions carefully for using your antibiotics. The exact instructions will vary depending on the type you are prescribed. 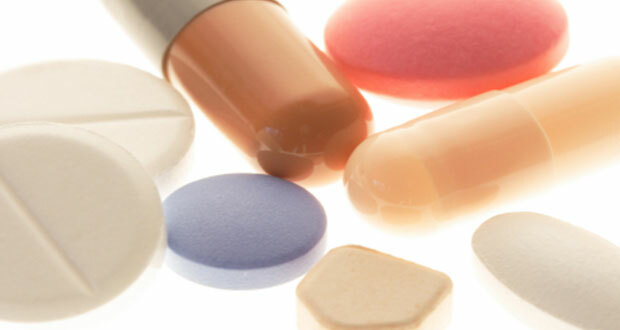 Most antibiotics come in the form of capsules or tablets. They may be available in liquid form for children. Antibiotic creams may be prescribed for skin conditions such as acne. Usually, your Doctor will prescribe a course which lasts between 3 and 10 days. You may need to take tablets anywhere between every 4 hours, to every 12 hours. The instructions vary between types as to whether they should be taken on an empty stomach or with food. Even if your symptoms improve you must continue to take the antibiotics until you finish the course. You also shouldn’t drink alcohol with most types of antibiotics. Also, make sure you check the advice regarding using antibiotics with other forms of medicine. Antibiotics stop the contraceptive pill from being effective and so other barrier forms of contraception should be used whilst taking the antibiotics and for up to a week afterwards. Aspirin is a form of medication which has several uses. It has an analgesic (pain-reducing) effect similar to paracetamol and also at higher doses, an anti-inflammatory effect, similar to Ibuprofen. What is Aspirin Used for? Stretching the back of the shoulder can be effective in rotator cuff injuries and also when the muscles of the upper back and neck are tight. Aspirin can be used for a number of problems or conditions. most commonly it is used as a painkiller which will help to reduce the mild to moderate pain associated with conditions such as headaches, toothache, and period pain. Aspirin can also be used as an anti-inflammatory (NSAID) to relieve pain from musculoskeletal injuries such as ankle sprains and muscle strains. However, to gain these anti-inflammatory effects a high dose must be taken. Due to the associated side-effects, other NSAID’s such as Ibuprofen are usually recommended instead. On a completely different level, one side effect of a low dose of aspirin is that it reduces the stickiness of platelets in the blood. For this reason, it can be used in those with coronary heart disease and blood vessel conditions to help reduce the risk of blood clots. Aspirin works by reducing the production of chemicals called Prostaglandins. It is these chemicals which are released into the body in response to injury or illness, resulting in pain. Common side effects of aspirin include nausea, vomiting, and indigestion. These are usually mild and not long lasting. People with asthma may have a reaction to aspirin. This only occurs in around 10% of asthma patients and in most cases, aspirin does not cause any problems. However, if you are not sure if you should take aspirin, speak to your doctor or try a different form of medication. Those with stomach ulcers are usually recommended not to take aspirin as this may cause further bleeding and irritation of the stomach lining. Similarly, those with hemophilia (a disorder causing a lack of blood clotting) are advised not to take aspirin as it further thins the blood and reduces the chance of clotting when bleeding from cuts, impacts, nosebleeds etc. If you are already taking any other form of medication, always check with your Doctor that it is okay to also take aspirin. Do not take aspirin with any other form of anti-inflammatory, or medications also containing aspirin. Aspirin is also not suitable for children under the age of 16 and breastfeeding mothers. It can be used in low doses in the first 6 months of pregnancy. Codeine is an opioid (opiate or narcotic) similar to morphine although not as strong. It is used for treating moderate pain and may also be prescribed for persistent dry coughs or to help control episodes of diarrhea. Opiates work by binding to opioid receptors in the brain which reduce the patients perception of pain, reaction to pain and to increase tolerance of pain. Codeine is available from your Doctor via a prescription. In the UK, it may be bought over the counter in pharmacies for short term pain relief. In this case, it is known as Co-codamol. Codeine is also available in combination with other painkillers such as paracetamol. Opioids taken for extended periods can result independent as they can result in feelings of euphoria and withdrawal symptoms upon stopping the medication. This has resulted in the use of opioids for recreational purposes. You are taking any other medications including herbal and complementary remedies. Check with your doctor to see if you can drink alcohol whilst taking codeine. If you need to take any other medications once already on codeine, check they will not interfere. Do not take codeine for longer than recommended by your Doctor. Advise any other health practitioners you see that you are taking codeine. As with all medications, there is a possibility of side-effects. These are usually mild and decrease as your body adjusts to the new medication. If symptoms persist or become troublesome talk to your Doctor. Corticosteroids are anti-inflammatory drugs which can be either injected locally or taken orally. Injected corticosteroids are more commonly used in musculoskeletal conditions, due to the maximal concentration at the site of injury and the reduced risk of side-effects. Corticosteroid injections (also known as cortisone or hydrocortisone) have the reputation of being extremely painful, however, this can be limited with the use of a local anaesthetic. The aim of injecting corticosteroids is to reduce pain and inflammation sufficiently to enable a strengthening program to be commenced and should be used in conjunction with physical therapy and correction of predisposing factors. The use of these injections should be limited to following the failure of conservative treatment and the number of injections to one site should be restricted. What are corticosteroids used for? Inhibition of collagen synthesis and tissue repair. Infection (rare but can occur following injection). Injections do not always work. Only 1-2 injections can be used on the same area. More injections lead to an increased risk of tendon rupture. Hyaluronic acid is a protein which is found naturally in all living organisms. In humans, it is found in the skin and also in the articular cartilage and synovial fluids within joints such as the knee. Its role is to help with lubrication of the joint. As we get older, the body produces less hyaluronic acid. This explains much of why the skin becomes wrinkly and less elastic, and why joint movement becomes stiffer and sometimes painful. Hyaluronic acid is important for the homeostasis (maintenance of a constant level) of synovial joints. It helps to maintain synovial fluid viscosity, as well as stimulating cell function in the articular cartilage which lines the joint. Hyaluronic acid injections are sometimes used for those with osteoarthritis, especially in the knee joint. This treatment is sometimes also known as viscosupplementation. In cases of OA, the articular cartilage has started to wear away which in turn reduces the concentration of hyaluronic acid within the joint. This can account for the increase in susceptibility to knee cartilage injuries, as well as the deterioration of existing conditions. Hyaluronic acid injections are used to supplement the bodies own stores. The acid used for the injection is obtained from either animals (Rooster’s combs) or humans or can be genetically engineered. When you go for your injection, the Doctor will start by cleaning the knee with an alcohol solution to kill any bacteria on the skin and reduce the risk of infection. If there is lots of fluid on the knee they may drain this off first. They will then inject the hyaluronic acid directly into the knee joint. After the injection, you should try to avoid any heavyweight bearing or impact for up to 48 hours. After this period you can resume as normal. A course of treatment is usually recommended which ranges from 3-5 injections, at weekly intervals. How Effective are Hyaluronic Acid Injections? Hyaluronic acid injections appear to be more effective in some people than others. They tend not to work as well in severe cases of osteoarthritis, or in older people. Generally, though HA injections are comparable in effectiveness to Corticosteroids and NSAID’s (non-steroid anti-inflammatories) such as ibuprofen. The main benefit of HA injections is the reduced systemic side-effects. The only side effects tend to be soreness at the injection site and initial knee swelling. Ibuprofen is the most commonly used form of anti-inflammatory medication. These are sometimes called Non-Steroidal Anti-Inflammatory Drugs (NSAIDS) or Non-narcotic Analgesics (included in this group are Aspirin and Acetaminophen). It is due to its anti-inflammatory effects that Ibuprofen is often taken following injury, instead of aspirin or paracetamol. All acute injuries and most chronic injuries have an inflammatory reaction resulting in redness, pain, heat, swelling, and a loss of function. As with most medications, consult your Doctor before you start taking Ibuprofen. In some countries, it may only be available from your Doctor. Doses vary from 200mg which provide an analgesic effect, although your Doctor may prescribe you with a stronger dose, up to around 800mg which produce the anti-inflammatory result. Who should not take Ibuprofen? Morphine is a type of painkiller used for moderate to severe pain. It is classified as a strong opioid analgesic (also sometimes called narcotics). Morphine is used to relieve moderate to severe pain and also in easing severe coughs. It works by affecting the nerves and brain to decrease the pain you feel or the urge to cough. Opioids (opiates) are chemicals which bind to opioid receptors in the central nervous system. They reduce the perception of pain, the reaction to pain and also increase the patient’s tolerance of pain. Codeine is another form of opiate. Opioids taken for extended periods produces dependence, as they can result in feelings of euphoria and withdrawal symptoms upon stopping the medication. This has resulted in the use of opioids for recreational purposes. In the UK morphine is only available via a prescription from your Doctor or whilst admitted to hospital. Morphine is available in the form of tablets, capsules or a solution (liquid). There are various brands of each form of morphine medication and the directions for usage will vary slightly between each type. Make sure you follow the instructions given to you by your Doctor. If you travel abroad, take a letter from your Doctor confirming your usage of Morphine. This is because morphine is a controlled drug. Do not just stop taking morphine suddenly as you will probably suffer from withdrawal symptoms. Speak to your Doctor if you want to stop taking it. Muscle relaxants are a type of medication which reduce muscle spasms and tension. They are predominantly used in treating severe cases of back pain. The most commonly used form of muscle relaxant is diazepam. Muscle relaxants are most commonly prescribed for back pain, which your Doctor suspects may be caused, at least in part, by muscle spasms. Spasms are uncontrollable muscles contractions, like cramp, which can be very painful. Muscle relaxants can help people to move about more easily and with less pain. They may also be used in the treatment of multiple sclerosis and after strokes or spinal cord injuries. Muscle relaxants are a form of sedative. They can be classified as either centrally acting or peripherally acting. The centrally acting muscle relaxants work on the central nervous system to bring about the effect of muscle relaxation. The peripherally acting group work at the neuromuscular end plate to interfere with transmission from the nerves to the muscle. Muscle relaxants can be used and are often prescribed alongside other painkilling and anti-inflammatory medications such as Ibuprofen. Muscle relaxants are only recommended for short term use. This is partly because they carry a risk of dependency if used for extended periods. They are also not recommended for people who have a history of alcohol or drug addiction. Muscle relaxants are also not recommended for pregnant women, older people, or those suffering from depression. Due to the possibility of drowsiness, it is recommended that patients do not drive or operate machinery whilst taking muscle relaxants and other sedatives. Paracetamol is one of a group of analgesic medications. It is also known as acetaminophen. It is a painkiller which is effective on mild to moderate pain. Paracetamol can be used to ease mild to moderate pain. It is most commonly used in cases of musculoskeletal injury, general aches, and pains, as well as conditions such as headaches and toothache. It can also be used to help control fever or reduce the symptoms of a cold. Painkillers such as paracetamol have no effect on the inflammatory process or on blood clotting. Paracetamol is available in several different forms, with tablets and capsules being the most popular. It may also be as a soluble tablet which is dissolved into water, in a liquid form as a bottle of medicine or as a suppository. Paracetamol may also be combined with other medications, for example, codeine (known as co-codamol). It may also be found in decongestant medicines for cold and flu treatment. Paracetamol has relatively few side effects, especially when used according to the instructions and not in excess. Blood conditions including thrombocytopenia (low platelet count) and leukopenia (low white blood cell count). Liver or kidney damage (when taken in excess). Low blood pressure when given via a drip (in hospital). Paracetamol works by inhibiting the release of prostaglandins. Prostaglandins are a chemical which is released into the body in response to illness or injury. They can also help to reduce the temperature by affecting the area of the brain responsible for maintaining core body temperature. Contraindications are cases where the medication should not be used. This is often where an existing medical condition or a medication already being used by the patient makes paracetamol unsuitable. There are very few cases where paracetamol cannot be used. It is safe for pregnant women and those who are breastfeeding. It is also safe (in smaller doses) for children. Carbamazepine – Usually for epilepsy. Colestyramine – Used for a number of conditions including liver disease. Coumarins – Found in anti-clotting medications. Metoclopramide – For nausea and indigestion. Always follow the advice on the packet when it comes to doses for medications. This advice is there to keep you safe and prevent illness from taking too much of the drug. Adult oral doses are usually recommended to be 650-1000mg every four hours if required, up to a maximum daily dose of 4g. At a maximum dose of 1000mg paracetamol reaches it’s highest effectiveness and taking more does not improve it’s pain relieving effect. All it does is increase its toxicity levels.